Style, Sophistication and Grace. 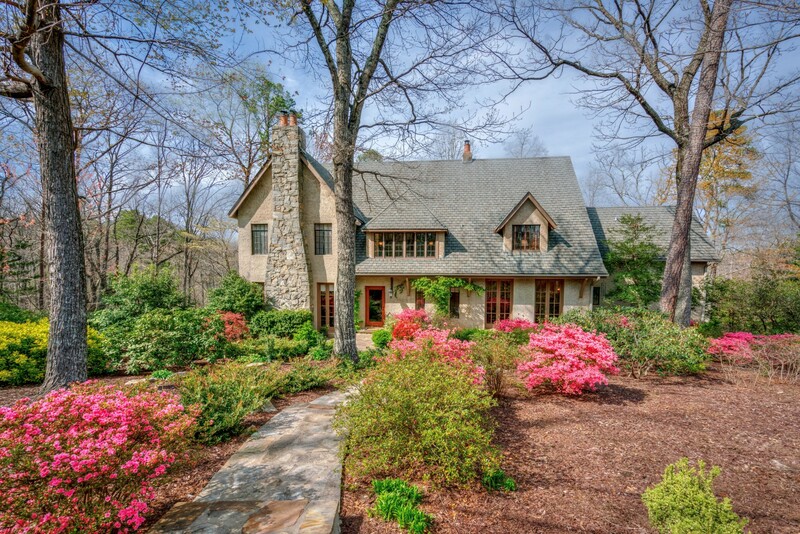 Find Your Perfect Retreat in This Stately Tryon Home. The exterior asymmetry of the home, coupled with the rock fireplace, the steep pitch of the roof, and the corner lot give 10 Hillswick the prominence and beauty properly accorded to one of the oldest and largest homes in the historic Gillette Woods neighborhood of Tryon. Architect J. Foster Searles' 1933 masterpiece is still largely as it was, while lovingly updated and with the additions of a screen porch and carriage house. The home, with its soaring two-story living room and stunning 8.5-foot French doors letting in the woodsy light everywhere, is only minutes from the vibrant downtown Tryon restaurants and arts. So many irreplaceable details - solid wood doors with original glass knobs and nickel hardware, original casement windows. An exceptional, gracious home.